The proposed pipeline, being built by Dakota Access LLC, a subsidiary of Energy Transfer Partners, would run from the Bakken oil fields in North Dakota, to a terminus in Illinois. The Pipeline route would go under the Missouri river, the main source of water for the Standing Rock Sioux Reservation and would run only half a mile from their reservation border. Given the history of pipeline leaks, and especially given the fact that it was only a few months ago that the Key Stone pipeline in South Dakota leaked 17,000 gallons of tar sands oil, one of only thirty-five such leaks since 2010, the tribal nations have legitimate grievances that have yet to be addressed. This of course is not the extent of the case against the proposed Dakota Access Pipeline. It is also worth mentioning that even though the proposed pipeline is being built on 'federal land', technically the property of the Army Corps of Engineers, the Federal government does not have a legitimate exclusive claim to the land, according to their own laws. Article IV clause II establishes that treaties ratified by congress, including the 400 or so broken Indian treaties, are the supreme law of the land. Thus, the federal government not only has no moral claim to the land on which the pipeline is being built, since they acquired the land, like all landed property, through initiatory violence against previous inhabitants, but they also have no legal claim to the land either, because it was acquired by breaking their own laws. The informed consent of the party with the greatest stake in the matter is imperative not only because the pipeline threatens to diminish their natural right to the use of the earth and its resources, particularly water, but they have as good a claim to the land as the federal government. There are already national Id laws on the books that will go into effect in a couple of years. This is yet another police state initiative that is being passed of as a measure to combat 'terrorism' and 'illegal aliens.' While a National ID card is not immoral in theory, the implications of these laws are far more reaching than what proponents are willing to admit. First off, people will be prohibited from traveling, even within the country, without having this card; this much is admitted right off the bat, and with the addition of interior check points and the FBI's Biometric database you should have a vivid idea of what this legislation entails. Pages 54 - 66 give us a glimpse of why making generalized attacks against muslims is an ineffective tactic in the war against the Islamic state; in fact, marginalizing non-millitant muslims in western nations plays right into their stratagem. You see, the islamic state wants to eliminate what they consider 'the gray zone', which is the aggregate of muslims that are independent of the self-proclaimed caliphate (in their own words). They want to restructure the world in to two camps: the islamic (iman) and the kufr. They directly admit this thrice: twice on page 62 and once on page 66. Doing stuff like this will only hurt our cause and strengthen the islamic state. I'm not saying that islam is a peaceful religion or that jihadists aren't true muslims. All I am saying is that we should drop the generalized anti- muslim rhetoric and align with muslims who are against the islamic state until the islamic state is obliterated. During a PBS town hall segment in June of this year, the empty suit admitted, in response to a question posed by a concerned gun shop owner, that the FBI has warrantless access to your browsing history and most likely your email data as well. For those who are unaware, the FBI has the power to issue subpoenas to service providers, called National Security Letters (NSLs), demanding that they turn over basic information about a certain customer, like their name, address, length of service, IP address and/or phone records depending on which communications company was issued the NSL. That's right, any FBI field office can issue an NSL, because in the era of terrorism mass hysteria expediency takes precedence over principle. NSLs often come with a gag order, prohibiting a service provider from disclosing the fact that they received an NSL. What Obozo revealed in his response, perhaps unwittingly, is that the FBI also has subpoena power for browsing history and more than likely email data. To truly grasp how insane this is, imagine if your police department was given subpoena power to demand non-public information about you from local businesses, and realize that the FBI is just a federal law enforcement agency, not a federal court. Obozo effectively turned a 2nd amendment issue into a 4th amendment issue. "[t]he right of the people to be secure in their persons, houses, papers, and effects, against unreasonable searches and seizures, shall not be violated, and no Warrants shall issue, but upon probable cause, supported by Oath or affirmation, and particularly describing the place to be searched, and the persons or things to be seized." The NSL is just another form of warrantless surveillance, since their is no judicial oversight of the process. It's really no different than the NSA conducting bulk phone data collection without a surveillance warrant from the FISA court. The 4th amendment clearly puts a check on police power (executive branch) by making police searches and seizures contingent upon judicial approval; without this check on police power, abuses are inevitable. But that's not the entire extent of the damage. What was previously only a second amendment issue, has not only become a 4th amendment issue, but a 1st and 5th amendment issue as well. The gag orders that accompany NSLs clearly violate the first amendment by abridging freedom of speech. The terrorist watch list or the no-fly list, which Obozo expects us to accept as commonplace so he can introduce a no-buy list without resistance, is a clear violation of the 5th amendment and moral law. No person should be deprived of their right to travel or their right to buy a gun without a criminal or civil proceeding, especially if they are a U.S. citizen protected by the Bill of Rights. And last time I checked, Barrack, visiting an ISIS website is still legal, and it doesn't necessarily mean one sympathizes with them. Someone could read Das Kapital without being a marxist, Mein Kampf without being a neo-nazi, and by the same logic, DABIQ without being an ISIS sympathizer because people can and often do read opinions they don't agree with (it's called intellectual curiosity). I have a free pdf copy of the 7th issue of DABIQ, and guess what? Not an ISIS sympathizer. Just think of how many academics and journalists Barrack would prohibit from flying because he's a dumbass that thinks people only read stuff they agree with. While he might not have done much to the second amendment, which he shouldn't be praised for because it should be expected from someone in his office, he certainly obliterated the first, fourth, and fifth amendment without hesitation. The fact that no one in the audience was shocked by his response or challenged him indicates the sheer extent to which peoples' minds have been paralyzed by fear and the mass hysteria (not much different than the red scare or Salem witch trials) that has been conditioned by war on terrorism propaganda from MSM talking heads. Here is a sobering illustration of how far we have slipped into the dystopia that is the American Police state. Under new rules drafted by the Obama administration, the NSA is allowed to share the raw data they 'incidentally' gather from American citizens with domestic law enforcement agencies. Domestic law enforcement agencies can take fruit of the poisonous tree and use parallel construction to prosecute ordinary criminals. And who are these ordinary criminals? Why it's you, and every other American citizen. There are 27,000 pages of federal criminal statutes and 10,000 pages of federal administrative regulations (keep in mind that this doesn't even include state and local laws). Even if you consider yourself a 'law abiding citizen', the chances are you have violated some of them. For instance, connecting to an unsecured Wi-Fi network is a felony (according to the vague language of the Computer Fraud and Abuse Act). Add to this the fact that the JTTF and FBI target specific political groups (e.g. Animal rights activists, anti-war protesters, anarchists etc), and we find us caught in the perfect storm. This is nothing new of course. President Truman established the NSA in the early 1950's. They conducted a domestic surveillance program known as Operation Shamrock, a continuation of what the defunct Armed Forces Security Agency had stared after World War II, until 1975 when it was exposed by the Church Committee, and they worked in tandem with the FBI in project MINAERT, during the 1960's and 70's, which bears an eerie resemblance to todays 'terrorist watch lists.' We are not on the verge becoming a police state, we've been living in one for quite some time now; history is simply repeating itself under new guises. "In PRISM collection, the government identifies the user accounts it wants to monitor and sends a ‘selector’—a specific communications facility, such as a target’s email address or telephone number—to the relevant communications service provider. A government directive then compels the communications service provider to give it communications sent to or from that selector. This type of surveillance, which intercepts ‘to/from’ communications, can result in the interception of communications with U.S. persons if the target happens to communicate with such a person." As every rank and file neocon will tell you, their wars spread freedom and democracy abroad (while oddly crushing it at home) and protect U.S. interests (by which they mean corporate interests). If by freedom they mean the freedom of military contractors to plunder the tax cattle through congress, the federal government's 'freedom' to trample on your natural rights, and if by democracy, they mean voting for a corporate puppet every two years, then they are right. But if we are using plain English instead of Newspeak, then the entire narrative falls apart under the slightest scrutiny. While the hawks we're screaming Assad must go and Syria should be balkanized and drumming up public support for their 'humanitarian intervention' through the likes of White Helmets propaganda videos, they forgot about all those other countries where they could be promoting freedom and democracy like Egypt, which has been ruled by a military Junta, who 'kills his own people', since the 2013 coup, or Saudi Arabia, which has been ruled by an absolute monarchy, who kills his own people, since it was formed, or in the Kingdom of Bahrain, where a despotic Sunni regime invites Saudi troops to help them repress democratic protests, or Vietnam, which still languishes under the heal of totalitarian communism. Maybe we need a second Vietnam war to promote freedom and democracy. After seizing power in a 2013 coup, al-Sisi has never restrained his security forces and army, both under his command, from silencing opposition through brute force. His goons have crushed freedom of speech, expression, assembly and the press through mass murder, indefinite detentions, military trials of civilians, and the false arrests of protestors or anyone who dares criticize him, even high school students. Some 124 Egyptians died in detention, from August 2013 to 2015, as a result of medical negligence and torture perpetrated by his security forces. And as a result of his edict expanding military court jurisdiction over all public facilities, some 2300 civilians have been sentenced in military tribunals. Of course none of his atrocities have discouraged Washington from providing his regime with billions in military aid (about 1.3 billion annually) and crowd control weapons. Yet another repressive government that receives Obozo's flattering support, in more ways than one; not only has he lifted the arms embargo against and promoted a TTP partnership with Vietnam, they also receive $122,000,000 in foreign aid from Washington. The Vietnamese Communist Party, which control a political monopoly with an iron fist, like their ideological brethren in North Korea, meet the slightest dissent with indefinite detention, imprisonment and sometimes death. The Communist state enslaves its own people through labor camps, where drug offenders, who are not even given a jury trial, are forced to work without compensation, and are often beaten and starved if they fail to meet daily quotas. Bahrain, like Saudi Arabia, is a Sunni monarchy, and yet another Washington ally that responds to political dissent with brute force. Freedom of speech, expression, association, and assembly are all non-existent there. The government conducts internet censorship and sets up check points where security forces search citizens' phones. Even dissent on social media is met with indefinite detention, often torture, and sometimes capital punishment. During the 2011 'Arab Spring' the government called on the Saudi military to help them suppress democratic protests by the Shiite majority. But none of the state's atrocities have discouraged Washington from providing them with 11.9 million in foreign aid, even as the regime continues to imprison Shiite protesters for thought crimes. Out of all the despots and dictators Washington supports, they wouldn't have to invade even one of them to make them embrace greater 'freedom and democracy' in their own countries; they could use economic coercion to make them comply with the UN Declaration of Human Rights, so there's really no excuse. The real motive for ousting Assad is not 'humanitarianism', a shoddy veil that is easily seen through. The real motive is to isolate Iran and maintain Israel's nuclear monopoly in the region, just like the real motive for the war against Qaddafi was not 'humanitarianism', like the talking heads of msm would have you believe, but to prevent him from creating a gold backed pan-African currency and keep francophone Africa dependent on neocolonialist institutions like the IMF and World Bank. This narrative, unlike the 'humanitarian intervention' narrative, is corroborated by known facts; the fact that both Saudi Arabia and Bahrain are regional rivals of Iran makes them convenient allies (the enemy of my enemy is my friend) and thus clients of the U.S. defense industry. The Massachusetts legislature recently passed a law which levies a 20 cent head tax on every ride provided through Peer-to-Peer ride sharing apps, such as Uber and Lyft, and redistributes the revenue to traditional taxi cab companies i.e. it is a supply-side subsidy for the taxi cab cartels. Let's keep this in perspective. This 20 cent head tax will be added on top of the federal income tax, the state income tax, the FICA tax, the sales tax, and the cost (both opportunity cost and real cost) of getting a state sales tax certificate. It is plainly obvious that the taxi lobby is behind this, which is one of the many problems with having a private campaign finance system, but I digress. This particular head tax is not an isolated incident, but part of a much larger systemic problem that permeates every level of government; one of the several failures of current capitalism is governments propping up failed and outdated business models by undercutting their more efficient and innovative, though less politically savvy, competitors. The fallout of such policies is several fold: it creates artificial market entry barriers for smaller startups, reduces the number of employers in the market, and raises the price of the good or service in question. These effects are common to all forms of rent-seeking behavior, whether it is supply-side subsidies, regulatory capture, patent royalties, or tariffs. There is no doubt that the 20 cent head tax will be passed on to customers in the form of higher fares, but more importantly, it will actually have the unintended effect of stifling innovation by discouraging the use of app platforms and peer-to-peer networking that ride sharing companies are built around. The proponents of this subsidy argue that it's not fair that ride sharing contractors don't have to comply with the same regulatory requirements that the taxi cab industry has to, and so a head tax on ride sharing services makes the competition more fair. What they fail to realize is that even if the taxi industry was to forgo these requirements, the ride sharing companies would still enjoy certain natural advantages over traditional taxi companies like less overhead costs and greater availability. If the taxi cab industry was actually interested in making the competition 'fair' they would lobby their city councils to lift the moratorium on new cab companies (which most cities have) and eliminate occupational licensing requirements, you know, all the things that make them cartels in the first place; of course, they wouldn't do that because it would reduce their profits, which are quasi-rents. Imagine if congress had levied a head tax on every Netflix subscription and used the revenue to subsidize Blockbuster under the pretense of innovating video rental stores. It would have only been fair since Netflix doesn't have to comply with building codes and occupancy permits. Preposterous, you say? Well its no different than subsidizing taxi cab companies at the expense of ride sharing users, and it is about time the taxi cab cartels went the way of Blockbuster. The Saudi led invasion of Yemen, along with a handful of other gulf monarchies like Qatar and Jordan, is genocide against the Yemeni people. It is genocide by the U.N. General Assembly's definition found in Articles II of the 1948 Convention on the Prevention and Punishment of Genocide. The Saudi war against the Houthi rebels in Yemen is undoubtedly genocide because their actions fulfill at least 5 of 6 criteria for genocide. The Saudi-led airstrike coalition bombed 100 hospitals from March 2015, when the invasion was launched, until November 2015. In the most recent attack, the Wahhabi Terrorist State bombed a Doctors Without Borders hospital killing 11 people and wounding 19 others. They did this despite the fact that MSF (French name for the organization) shared the precise GPS coordinates of their hospital with the RSAF hours before the air raid. In fact this is not a first. The Saudi coalition has bombed 4 MSF hospitals in less than a year. It's pretty obvious criminal intent is involved. as well as business. Just recently, on August 11th, the coalition bombed a Potato chip factory killing 14 workers. The Saudis have not only murdered thousands of Yemeni civilians, they have also destroyed bridges that connect supply routes from ports to the Capital of Sanaa. Yemen imports 90% of food; without these supply routes they are susceptible to deprivation. Bombing bridges to Sanaa is not the only way that the Saudis have imposed starvation on the Yemenis. Coincident with the destruction of hospitals, schools, businesses and supply routes, the Saudis have imposed a naval blockade on the coast keeping the majority of commercial ships to Yemen from reaching the ports and leaving 80% of Yemenis in desperate need of food and medical aid. The indiscriminate bombing of thousands of non-combatant civilians constitutes (a), killing members of the group, and (b), causing serious bodily or mental harm to members of the group. The intentional bombing of hospitals, especially those run by humanitarian groups like MSF and Red Cross, constitutes (d), imposing measures intended to prevent births within a group, and preventing the shipment of food and medical supplies through the naval blockade and bombing supply routes constitutes (c): deliberately inflicting on the group conditions of life calculated to bring about its physical destruction in whole or in part. The Saudi invasion of Yemen constitutes a genocide by 5 of 6 counts, and the U.S. defense industry is funding it through the Pentagon. The Saudis have purchased $641,000,000 worth of cluster munitions from U.S. defense contractors, particularly Textron Systems, since the beginning of the war. In the first year of the war, 91% of cluster bomb casualties were civilians of whom 22% were children. Even though cluster bombs are prohibited by International law, by a UN convention ratified by 119 countries, Congress and the Pentagon continue to approve the sale of cluster bombs to Saudi Arabia. This is evident by a recent vote in congress which blocked an amendment that would have prohibited the transfer of U.S. manufactured cluster munitions to Saudi Arabia. The Pentagon currently has an agreement to sell $60,000,000,000 worth of aircraft and naval ships to Riyadh, which was negotiated in part by then secretary of state Hillary Clinton in 2010. In the latest sale of military equipment to the Riyadh, on August 9th, the State Department and Pentagon approved a $1,150,000,000 purchase of 130 tanks and armored vehicles, manufactured mostly by General Dynamics. The USG not only provides billions in weapons, munitions, aircraft, tanks and ships to the Wahhabi Terrorist State, they also provide logistical support, military training and weapon servicing: tasks carried out by thousands of U.S. civilian and military personnel stationed in Saudi Arabia. The true motive for the war should be obvious to anyone who has been paying attention for the past few months. For the U.S., this is a proxy war against Iran who sides with the Houthi rebels and former Yemeni president Ali Abdullah Saleh. For Saudi Arabia, it is an attempt to access to Yemen oil reserves by overthrowing the Supreme Political Council, which is supported by the Yemen Parliament, and reinstall Hadi's puppet regime. Side Note: remember that when you vote in the up coming presidential election, you are voting for the figure head of a criminal syndicate who will ultimately be a corporate puppet swaying to the pull of her (I highly doubt Trump will win) financial strings. St. Joseph County in Indiana received a record rainfall of over 8 inches between Monday, August 15th and Tuesday August 16th causing widespread flooding and subsequent water damage to homes and businesses in South Bend. As if the cost of the damage wasn't enough, residents and business owners will be required to pay extortionate fees for demolition and building permits to the St. Joseph Building Department and pay for an additional permit from the Indiana Department of Natural Resources; The City of South Bend has a graduated fee schedule for repairs, meaning the more it costs, the more you pay for a permit. In the case of one auto service store, Around the Corner Auto Service, it will cost them about $320 just for a building permit to repair their store. But even before that, they will be required to get a demolition permit, which cost 15 cents per square foot with a minimum $40 fee. If you need a government's permission to do something, then you are not at liberty to do so, because permission can always be denied for even the most superficial reasons. To hold people's property to a ransom, as the City of South Bend has in the aftermath of the flood, is as much a violation of the law of equal liberty as it is to seize their property (e.g. Civil Asset Forfeiture) or evict them from their property (e.g. nuisance abatement laws) without due process; the three differ only in the abstract, since homes can remain uninhabitable and businesses closed until the municipal government grants their owners permission to gut and repair their own property. In the U.S., like in China, there is no freedom, no protesting, and no due process. An Iowa man who protested the placement of an oil pipeline next to his well, through eminent domain, by flying the American flag upside down, under the PRC flag with a sign asking if there was any freedom or due process in the U.S., was arrested and charged with the thought crime of 'desecrating the American banner.' Of course constitutional law, and more importantly, moral law only place a few limitations on free speech and expression (threats of violence, inciting a riot, defamation, and perjury) and desecrating an American flag that you own isn't one of them. To make flag desecration a crime is to treat it as a sacred image, as if it was an idol, and to treat it as a sacred image amounts to imposing a national religion on people, much like how Islam is imposed on people in the near east, or how the subjects of North Korea worship the 'supreme leader.' Thus, Iowa's flag desecration law violates the first amendment in two ways, and if you think about it, reverence for the 'American banner' does have parallels to state religion. The U.S. is the only industrialized country in which citizens pledge allegiance to a flag; of course, they aren't pledging their allegiance to a piece of colored fabric, the flag is a symbol that a criminal syndicate known as the U.S. federal government uses to identify themselves. Pledging allegiance to the flag is not much different than pledging allegiance to Cosa Nostra or the Sinaloa Cartel. American children are indoctrinated from a very young age to stand at attention, put their right hand over their heart, and mindlessly parrot an oath of loyalty to the federal government, an oath which they do not even understand at five or six years of age. This ritual is regularly repeated, in school, over the course of their formative years, and even as adults they are asked to 'revere the banner' before sporting events, graduation ceremonies and political assemblies. This flag reverence isn't too far removed from religious worship: both involve ritualized gestures (standing and facing the flag, putting one's right hand over their heart), reciting certain phrases (similar to how catholics recite prayers during mass), and of course there is the dogma that goes along with the pledge such as the false belief that America is a 'free country', or that the constitution is infallible (as if it was authored by God himself). It is precisely reverence for the flag, not desecration of it, that should disturb people. Robert Califf was a paid consultant for companies such as Eli Lilly, GlaxoSmithKline, and Merck before Obama nominated him to the position of FDA commissioner. And before being a paid consultant, he was the head of Duke's Clinical Trial Research Institute, which receives the majority of its funding from the pharmaceutical industry (according to its own annual report). What could possibly go wrong by allowing former Pharma consultants and employees to run the FDA? 13 of the 16 researchers listed on the ROCKET-AF trial study, used to get FDA approval for Xarelto, were either employees of Bayer, Janssen, or Johnson and Johnson, were consultants for these drug companies, or were on their advisory board. I think it's safe to say that the norm of reciprocity is stronger than people are willing to admit, and the solution of course isn't more regulation or de-regulation because whether you add more regulation or deregulate the same people will be in charge of the regulation, either through a regulatory body or a board of directors, in an inherently rigged system; the false dilemma (more regulation vs. deregulation) simply keeps people from seeing the true root of the problem. Obama admits his drone wars in 7 countries, across 2 continents have killed innocent civilians (something that has been common knowledge for the past three years). Like the time they murdered a Yemeni family during a wedding procession. Or the time they bombed a Doctor's Without Borders hospital and murdered 12 volunteer doctors. The road to hell is paved with good intentions. Stop playing God with other people's lives and end the insanity of perpetual wars abroad. Note to the viewers: these are just a few examples that came to my mind first. I could probably fill an encyclopedia volume with the civilian victims of Obama's drone wars, but I have decided to stop here at wit's end. A family in Sugarcreek, Missouri is being threatened with fines for growing their own produce on their own property and the usual suspects are responsible. This is not just an assault on property rights; this is also an assault on the father's ingenuity (the man who is growing the produce) and ordinary people like him who would rather rely on their own green thumb than consume Monsanto's insecticide laced GMO crap that is being pumped into supermarkets. On the UNC-Chapel Hill campus, the EPA conducted experiments in which they exposed human participants to lethal air pollutants, WITHOUT THEIR INFORMED CONSENT, at levels about 90 to 135 times the average environmental exposure of the general population, including a particularly lethal pollutant called particulate Matter 2.5, which according the EPA's own assessment can kill people within hours of exposure. These experiments were conducted with the approval of a UNC Biomedical IRB. 'Since at least 2004, EPA physicians have been intentionally exposing human beings to various forms of concentrated airborne particulate matter (PM), including diesel exhaust, at an EPA laboratory at the University of North Carolina School of Medicine (UNC). The diesel exhaust is generated by idling a diesel truck with its exhaust pipe located right under the air intake for the exposure chamber. As usual, we cannot expect unscrupulous bureaucrats to be held accountable for their crimes. This is an all too common theme in our political landscape and one that will not cease anytime soon. 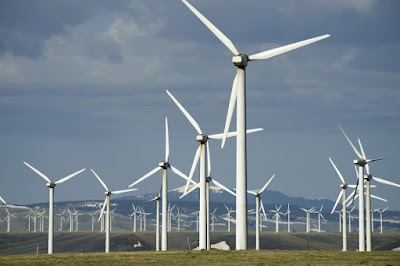 The State of Wyoming claims it owns the wind, and imposes a wind tax on turbine operators. In a daring feat of mental gymnastics, the Wyoming legislature declared ownership of the wind and imposed a $1 per megawatt wind tax on turbine operators. Now this may not seem like much, and most people would probably remain apathetic for this very reason and because it isn't personally inconvenient for them, but as a matter of principle it should shock the conscience because 1) it voids any concept of property rights 2) it's not too far removed from an Air tax wherein people would be charged for breathing. If the government can sever 'wind rights' from land rights then they can set the precedent for a plethora of useless micromanaging laws. If you want to teach sailing courses for pay, you'll have to pay the wind tax because you're profiting from government wind. If you want to take up windsurfing, fly a kite, or even hang a wind chime, you'll first have to get a permit for permission to use government wind; the potential for abuse is infinite. I have no doubt that the oil lobby is behind this; there is no conceivable benevolent motive and it seems to be too convenient of an excuse to prop up an unwieldy energy monopoly. The solution of course isn't too subsidize alternative energy, as the left would have us believe, but to remove government from the role of choosing winners and losers in the market, and a good place to start would be to eliminate billions in oil subsidies at both the state and federal level.